You know I love sharing the latest and greatest finds that help us look and feel our best. I’m excited to tell you about the new addition to my vanity! Have you seen this little gadget yet by NuFace? I first heard about it on the Today Show with Kathy Lee & Hoda sometime in the summer. My interest was immediately peaked because I was approaching my 44th birthday in August and was starting to see the first signs of dreaded sagging- especially in the jowl area. GRRRR! A birthday gift to myself this year was a new skincare regimen and a new health/wellness supplement and vitamin program. I’ve always taken fairly good care of myself, but I admit I was slacking on my skincare and buying cheap vitamins from wherever. Life gets busy and we put ourselves on the back burner. I needed to practice what I preach and desperately needed a beauty and health SOS! My birthday was the perfect time to give it to myself. I’ll tell you about my new supplements in a different post later. All I can say is I have more energy than I did when I was in my late 20’s. HOLLA! Back to the gadget. 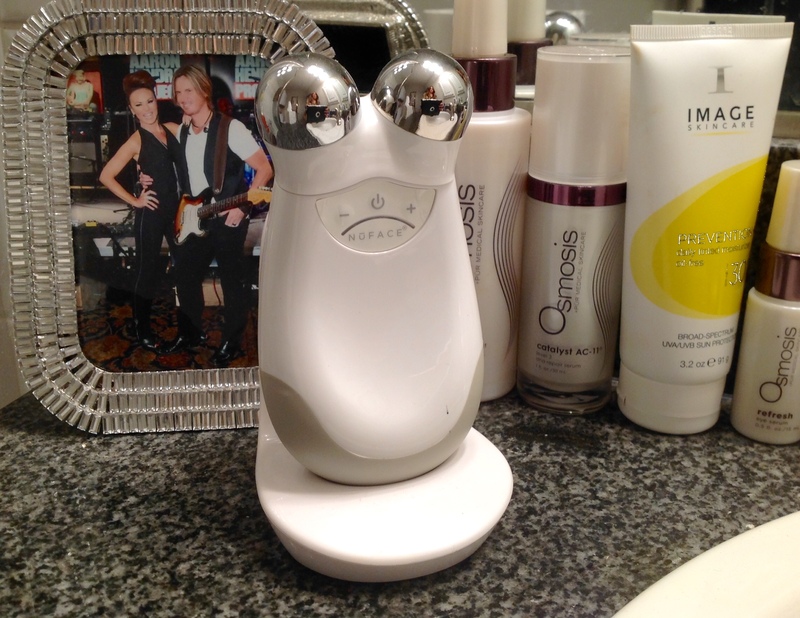 The NuFACE Microcurrent Toning Device is known as the 5 minute Face-Lift and it really works! I’ve been using it for nearly 2 months and can see a difference in my jowl, the folds by my nose and eyelids are lifted. Can I just say how strange it is to start seeing your eyelids sag and your mascara gets all over your eyelids from your lashes rubbing?!? What the heck! It’s easy to use and really only takes 5 minutes so it’s perfect for even the busiest gal. It’s also painless and you may only feel slight little tingles from the microcurrent. There is a setting to increase or decrease the microcurrents to your comfort level. 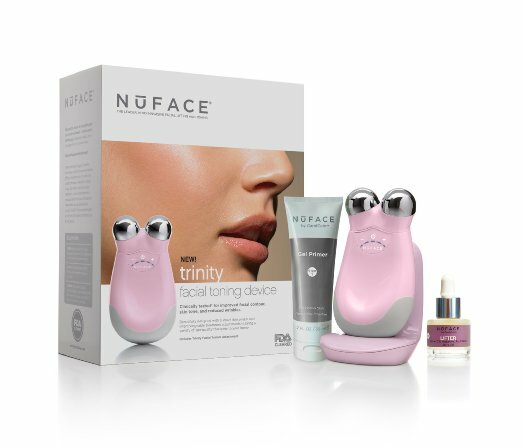 The NuFACE device is clinically-tested to stimulate the skin to improve facial contour, skin tone, and wrinkle reduction across the jawline, cheek area and forehead. I went to LA for my birthday and took it with me so my sister could try it. She’s a licensed esthetician and I knew she would give me an honest review after she tried it. Even she was amazed and saw instant results on her eyebrow and eyelid! After further research, we found that the microcurrents are like a “workout” for your face. Just like working out- our muscles atrophy when we stop. So, the recommended use for the NuFACE device is at least 5 times a week for the first 3 months then a few times a week for maintenance. Easy breezy. Safe and simple. Amazon has this new Trinity model with FREE SERUM. Check it out here. Feel free to ask me any questions. You know I only endorse and give positive reviews of products I believe in!